Water damage cleanup and repair when performed quickly and effectively can save your home from high repair and fix up costs. Knowing how to dry your home the best way is what AAA Flood Drying has been doing for 22 years in Massachusetts and New Hampshire. 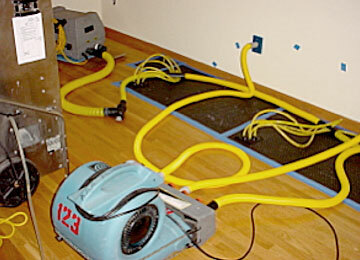 Advanced water damage drying equipment and methods allows us to dry your home preventing unneeded demolition. Fast overall drying prevents hidden mold damage. From a small wet carpet to a fully flooded commercial building AAA Flood Drying can help you dry out your water damage situation. Quick response, state of the art drying equipment and the knowledge to use advanced drying methods sets us apart. Our goal is to prevent mold damage and reduce or eliminate repair costs. We are located in Massachusetts and do a lot of work in Southern New Hampshire, we have also worked in all the New England States.